Following the development of the Global Principles for Responsible Banking by Access Bank and 27 other global banks, other financial institutions have now become early endorsers of the Principles. The banks include Caixa Bank, Corporación Financiera de Desarrollo (Ccofide), DGB Financial Group, GLS Bank, KB Financial Group,KBC Group, Keystone Bank, Natixis, Qatar National Bank, Standard Chartered PLC, and Zenith Bank PLC. The Global Principles for Responsible Banking was launched for public consultation in Paris three weeks ago by the Arab African International Bank (AAIB) (Egypt), Access Bank (Nigeria),Banco Pichincha (Ecuador), Banorte (Mexico), Barclays (United Kingdom), BBVA (Spain), BNP Paribas (France), Bradesco (Brazil), Caixa Bank, CIMB Bank (Malaysia), Commercial International Bank (CIB) (Egypt), Corporación Financiera de Desarrollo (Ccofide), DGB Financial Group, First Rand (South Africa), Garanti Bank (Turkey), GLS Bank, Golomt Bank (Mongolia), Hana Financial Group (South Korea), Industrial and Commercial Bank of China (ICBC) (China), ING (Netherlands), KB Financial Group, KBC Group,Kenya Commercial Bank (KCB) Group (Kenya), Land Bank (South Africa),National Australia Bank (NAB) (Australia), Natixis, Nordea (Sweden), Piraeus Bank (Greece), Qatar National Bank, Santander (Spain), Shinhan Financial Group (South Korea), Societe Generale (France), Standard Bank (South Africa), Standard Chartered PLC, Triodos Bank (Netherlands), Westpac (Australia), and YES Bank (India). The principles will first be available for signature in September next year, but until then banks and stakeholders can signal their support for and join the initiative by becoming official endorsers of the Principles. The global principles will align the banking industry with, and scale up its contribution to society’s goals as expressed in the Sustainable Development Goals (SDGs) and the Paris Climate Agreement. By adopting the Principles, Access Bank and the other institutions have signified a commitment to help promote the uptake of the Principles among their members and networks. As a member of the United Nations Environment Programme Finance Initiative (UNEP FI), Access Bank is a leading partner on the initiative. Speaking after the announcement, the Group Managing Director/Chief Executive Officer of Access Bank, Herbert Wigwe, explained that as a member of the United Nations Environment Programme Finance Initiative (UNEP FI), sustainability is an important global platform for the bank, especially in achieving sustainable growth through socially-responsible corporate practices. 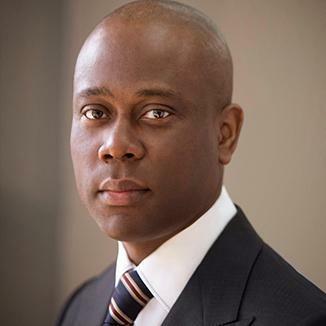 “At Access Bank, we have stayed committed to ensuring that we place priority on not just being a profitable venture but also one that is deeply concerned about the planet and the people. With specific guidelines that have been developed, applied, and with rigorous monitoring, we can all ensure that we build a sustainable and prosperous future, achieve long-term business and financial benefits while driving urgent action that reduces the risk to the environment,” he said. The European Banking Federation, Natural Capital Coalition, SITAWI Finance for Good, the Spanish Banking Association, the European Association of Co-operative Banks, the European Sustainable Investment Forum, the BBVA Microfinance Foundation and the Spanish Savings Banks Confederation are other institutions who have also officially endorsed the Principles. The Principles of Responsible Banking set the global standard for what it means to be a responsible bank and will ensure that banks create value for both their shareholders and society. They provide the first global framework that guides the integration of sustainability across all business areas of a bank, from strategic to portfolio to transaction level. The transparency and accountability mechanisms in the Principles require signatories to manage what matters most, set public targets and report back on progress.